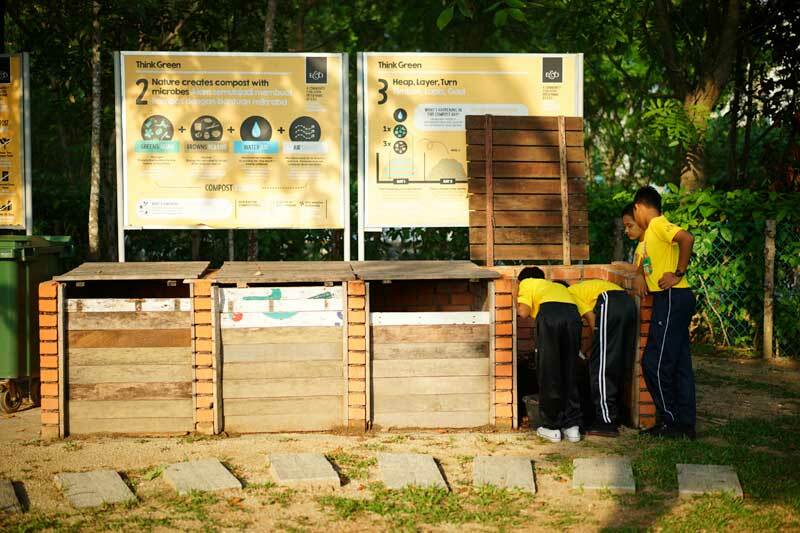 In Penang, E&O takes pride as the only developer using food-growing and composting in the urban context to nurture and develop communities at Seri Tanjung Pinang Phase 1 (STP1), employing various place-making tools to make Straits Green a catalyst for holistic and healthy lifestyles. Straits Green is a 4-acre public park, a vital green space in STP1 which provides communities with more than just a recreational space. Set up by E&O at a cost of RM4 million and maintained at an estimated RM30,000 monthly, Straits Green features a unique and interactive waterplay area for children, a community food garden, as well as a space for weekly exercise activities open to the public at no charge that was rolled out by E&O volunteer employees. 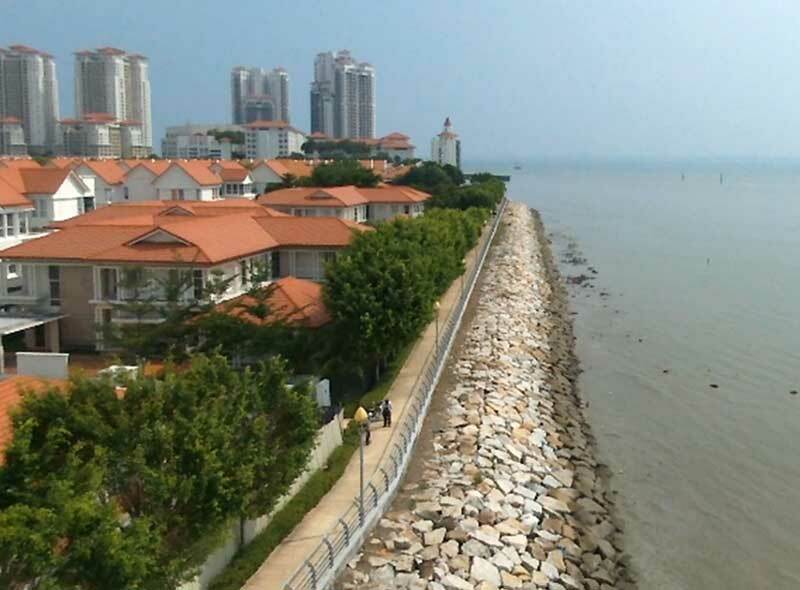 With efficient planning and place-making, Straits Green is now a sustainable and vibrant public space that encourages interaction and fosters meaningful relationships with nearby communities. The community food garden, dedicated to E&O’s Think Green community education programme, started out with a keyhole mulch bed and a compost bay. Today, it has evolved into a food and knowledge-sharing avenue with various vegetable beds, a unique PVC pipe garden fence and galvanised steel raised beds that are organically constructed by participating students of the Think Green programme. 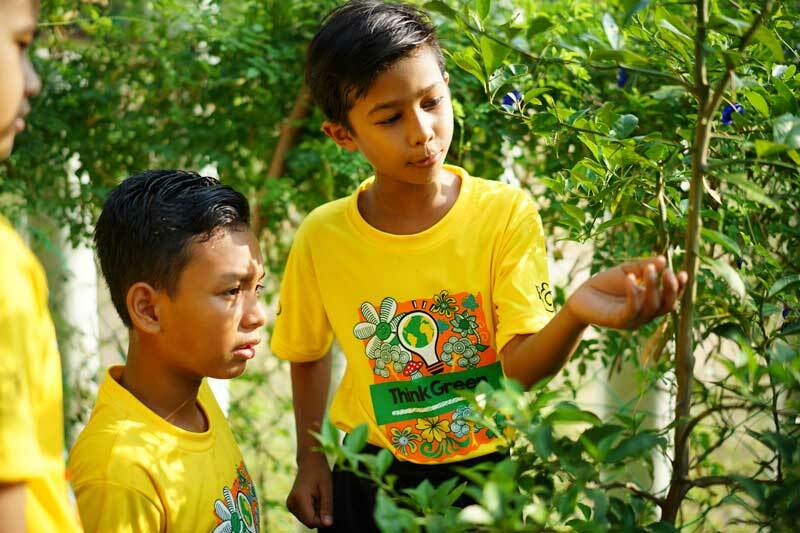 E&O's Think Green education programme aims to nurture and inculcate eco-consciousness, healthy living and community spirit through a food garden. 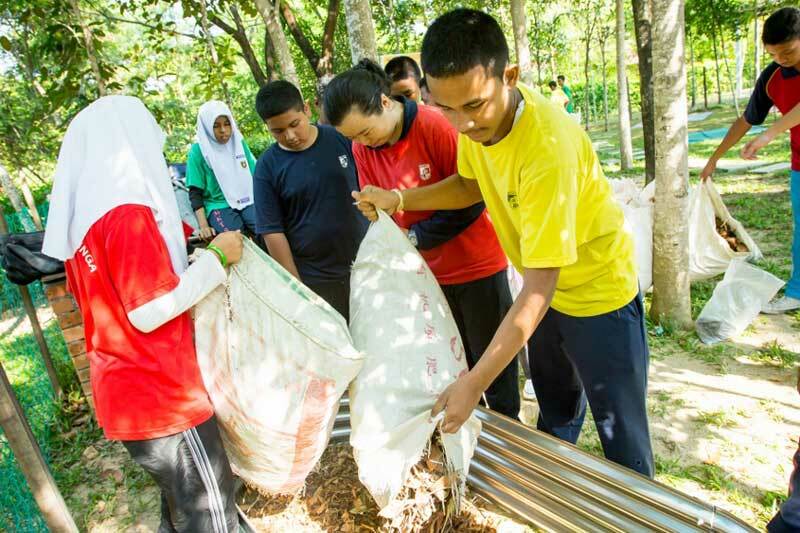 The Think Green food garden at Straits Green serves as an outdoor classroom for local communities, partners and employees to come together in a proactive manner and embrace volunteerism, earth care practices and community building. 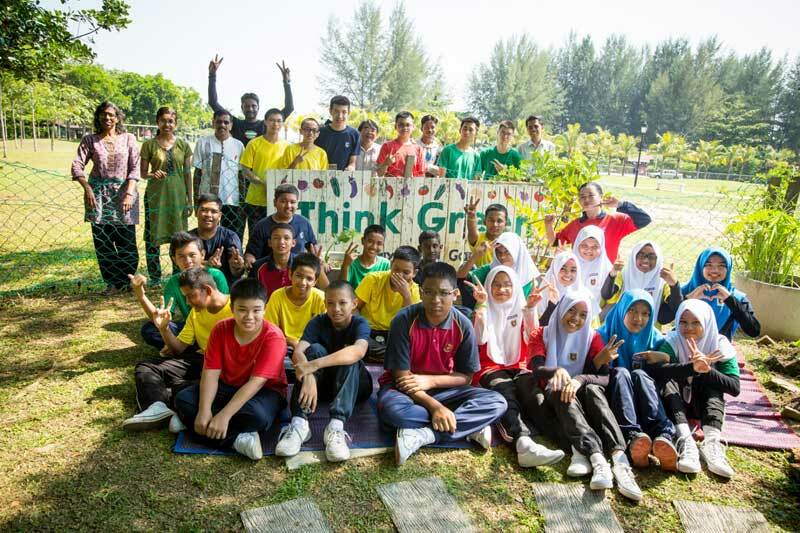 The Think Green programme started off with a pilot project in 2013, partnering with 120 students from three primary schools in the Tanjung Tokong community – SK Tanjung Tokong, SJKT Azad and SJKC Hun Bin. 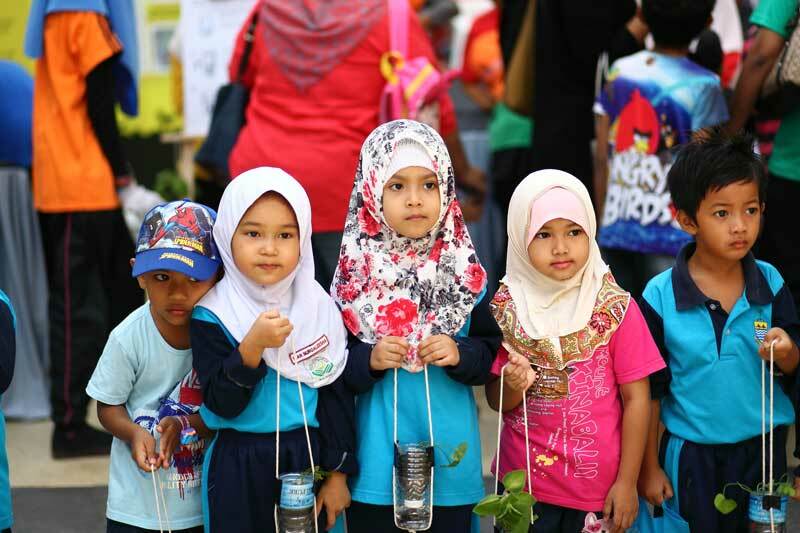 Following positive response for the pilot project from teachers, students and parents, Think Green took on a concentrated approach in 2014, delving deeper by creating monthly educational workshops with SK Tanjung Tokong, as well as monthly early childhood garden sessions with Tadis Ar-Rasyiddin pre-schoolers. 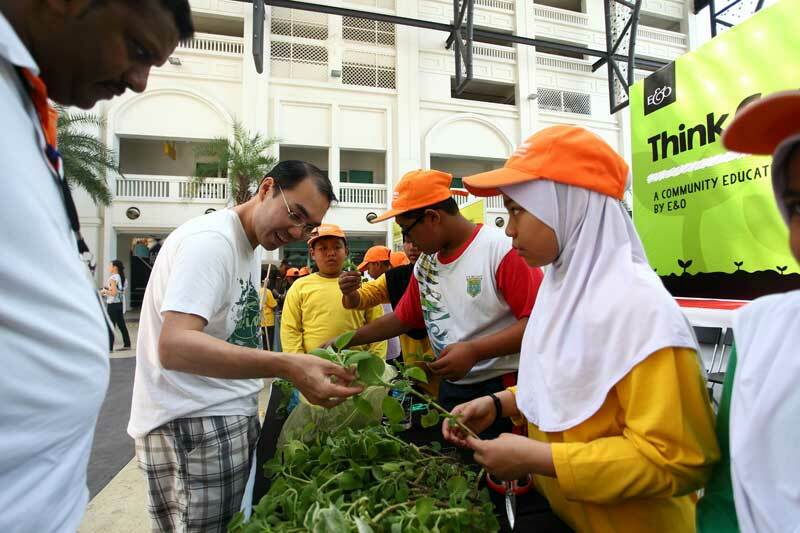 In January 2015, Think Green organised its first Think Green Pop-Up Booth event at Straits Quay, involving 150 students from the four partnering schools in Tanjung Tokong. 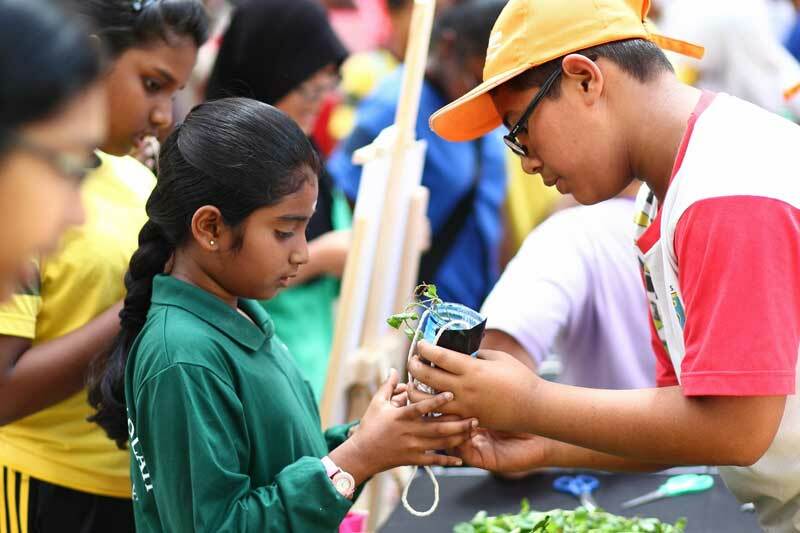 Forty students from SK Tanjung Tokong proudly demonstrated to their peers from SJKT Azad, SJKC Hun Bin, Tadis Ar-Rasyiddin and the public how to make recycled self-watering planters and propagate herbs. Seeing the accomplishments from the inaugural Think Green Pop-Up event, the students enthusiastically welcomed the idea of the second Pop-Up event in January 2016. Held at Beach Street under ‘Project Occupy Beach Street’ that encourages family-friendly community activities every Sunday, the second event involved a larger scale of public engagement and successfully saw the school students teaching their peers and the public steps to make their own PVC urban garden planters and impart their knowledge on preparation of soil mixes, choosing healthy cuts and ensuring the plants thrive. 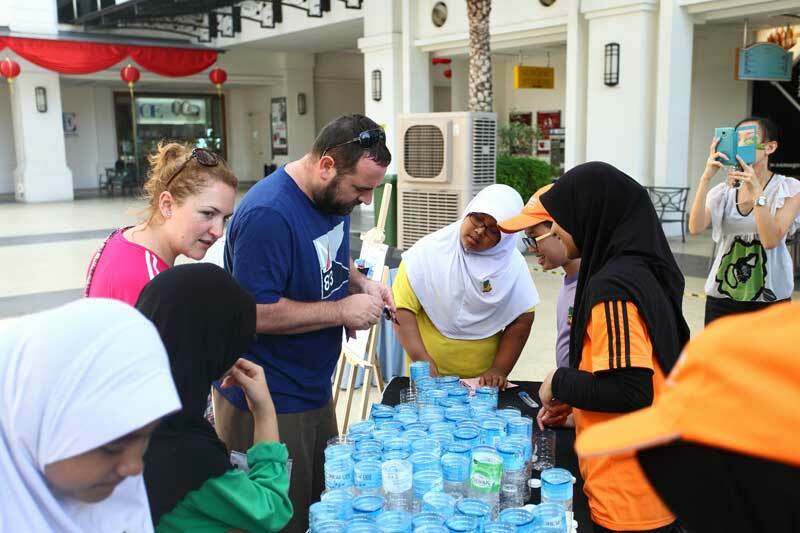 Within the last year, Think Green activities continue to evolve and enhance to serve as a platform for students to nurture community spirit and unity. 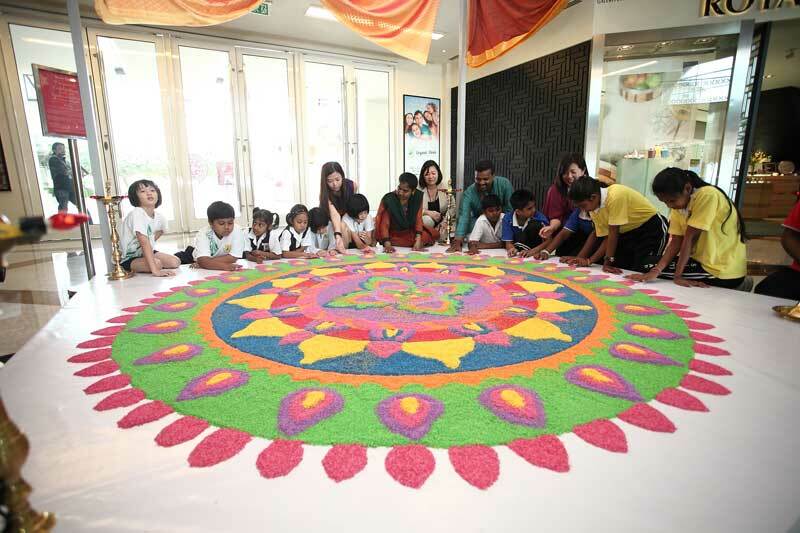 Activities such as a treasure hunt and kolam-making activity at Straits Quay provided students exposure and opportunities to work with their peers from different schools and races. The Think Green site has brought together diverse groups from headmasters, teachers, and students from partnering schools and the local kindergarten, E&O employees, as well as local NGOs and urban food growing enthusiasts. 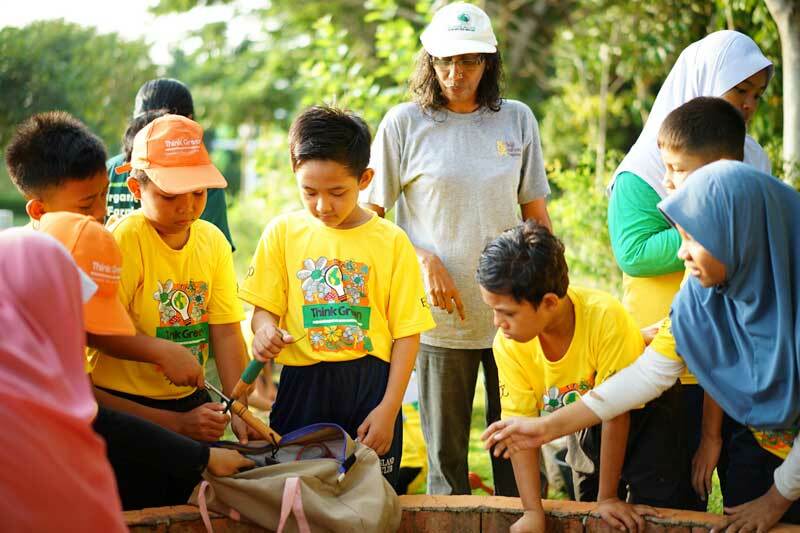 A notable acknowledgment must be made to the Natural Farming Unit from the Consumers Association of Penang (CAP), who play a vital role as our key community engagement partner providing invaluable expertise and enthusiasm in Think Green’s ongoing awareness and education programmes. Landscapers working at Straits Green are also constantly engaged and given training on organic composting and fertilising to ensure natural practices onsite. All landscape waste from Straits Green is composted at the compost bays at the Think Green site and reused for growing herbs and vegetables as well as for the plants at Straits Green. This means close to 3 tonnes of landscape waste from Straits Green is composted instead of heading to the landfills. 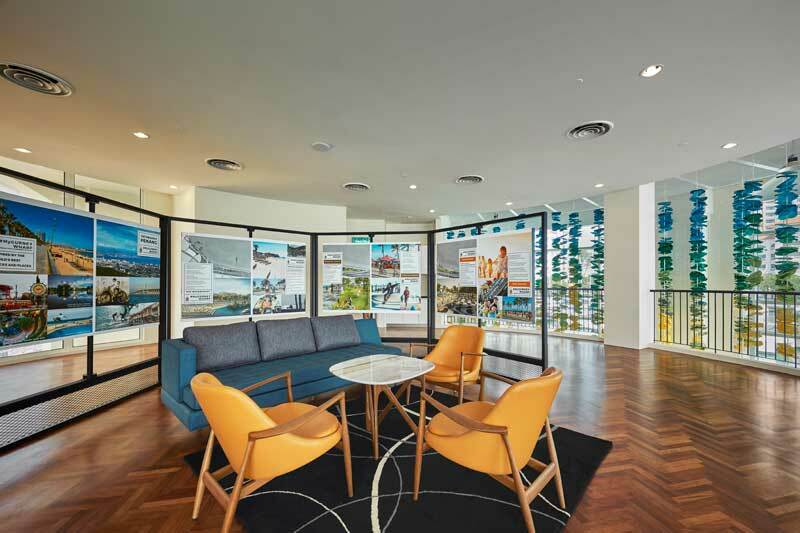 E&O’s food garden has also sparked interest and inspired the residents of the Quayside Seafront Resort Condominiums to set up a small community food garden and compost site within the property. With this addition, there are now three compost sites within Seri Tanjung Pinang Phase 1, two in residential areas and one at Straits Green. For more details, follow us on Facebook or click here to download a copy of our Think Green booklet. The Seri Tanjung Pinang Phase 2 (STP2) project approval conditions requires Tanjung Pinang Development Sdn Bhd (TPD) to contribute a financial sum for ex-gratia payments to be made to the fishermen and their assisting crew from the affected areas of the STP2 reclamation project i.e. Tanjung Bungah, Tanjung Tokong, Bagan Jermal and Gurney Drive. 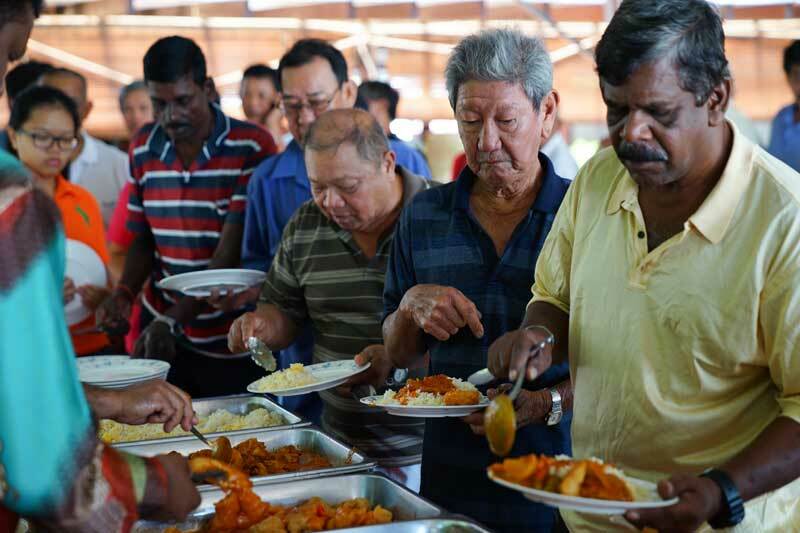 The ex-gratia amount and list of eligible recipients were determined by the Fisheries Development Authority of Malaysia (Lembaga Kemajuan Ikan Malaysia – LKIM). The ex-gratia payment cheques were presented to the eligible recipients at two ceremonies held in July and October 2015. 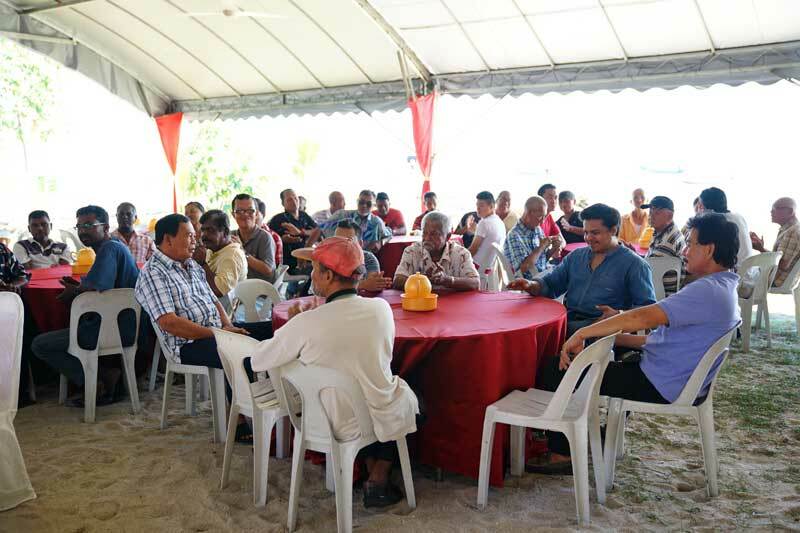 Apart from that, TPD’s team engages directly with the fishermen community of Tanjung Tokong, Tanjung Bungah, Bagan Jermal and Paramount (Gurney) on an on-going basis. These direct engagement sessions with the fishermen include ad-hoc meetings, festive gatherings as well as contributions to the community. Part of TPD’s engagement with fishermen also include provision of schooling supplies to the fishermen’s children, such as school necessities comprising school bags, stationery, school uniforms and shoes to reduce their financial burden. 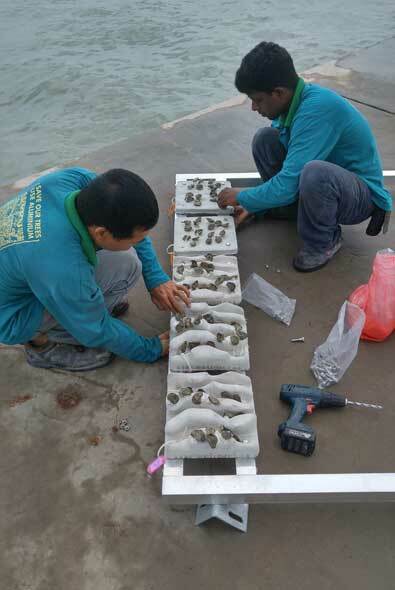 In May 2016, TPD also extended its engagement with the fishermen community through a close partnership with the Forestry Department of Penang and the Penang Inshore Fishermen Welfare Association (PIFWA) by planting 1,500 mangrove saplings at Sungai Acheh in Nibong Tebal, Penang, as part of its mangrove replacement planting project. This mangrove replacement planting project is a proactive voluntary step by TPD in light of the necessary removal of mangroves at the northern end of Gurney Drive. 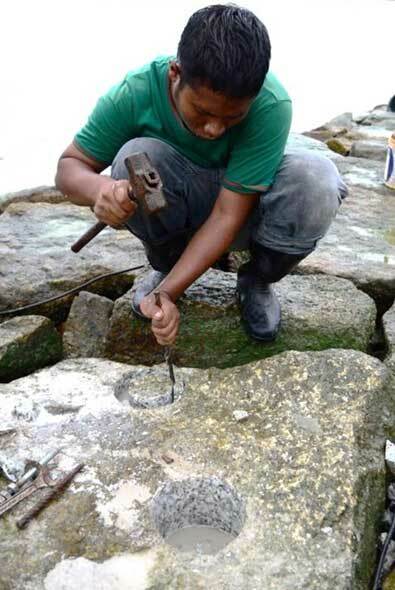 Universiti Sains Malaysia (USM) is working on an ecological engineering research project to provide an improved habitat for species along the Penang island coastlines. 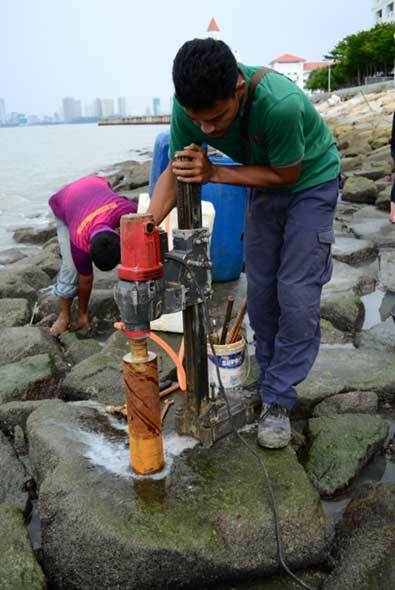 The project is led by Dr. Chee Su Yin, Senior Lecturer from USM’s Centre for Marine and Coastal Studies (CEMACS) and is supported by a team of local and international expertise. USM’s project partners are the University of Plymouth led by environmental science lecturer Dr. Louise Firth, E&O and Macro Dimensions Concrete Sdn Bhd (MDC). Themed Eco-Engineering Design with Nature, the first part of the project is called the Flowerpot Project while the second part of the project is called the World Harbour Project. The Flowerpot Project will see eco-designed concrete flower pots attached to the seawall, creating man-made rock pools to encourage recruitment of organisms. 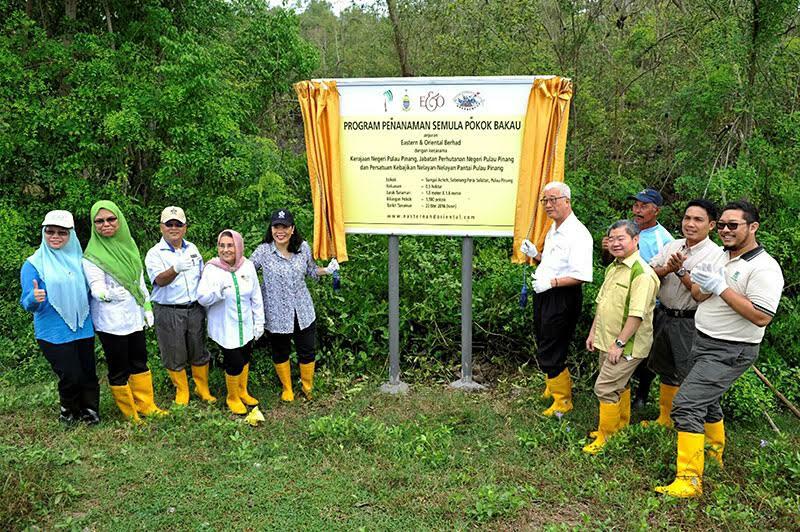 It is jointly-funded by USM, E&O and MDC. 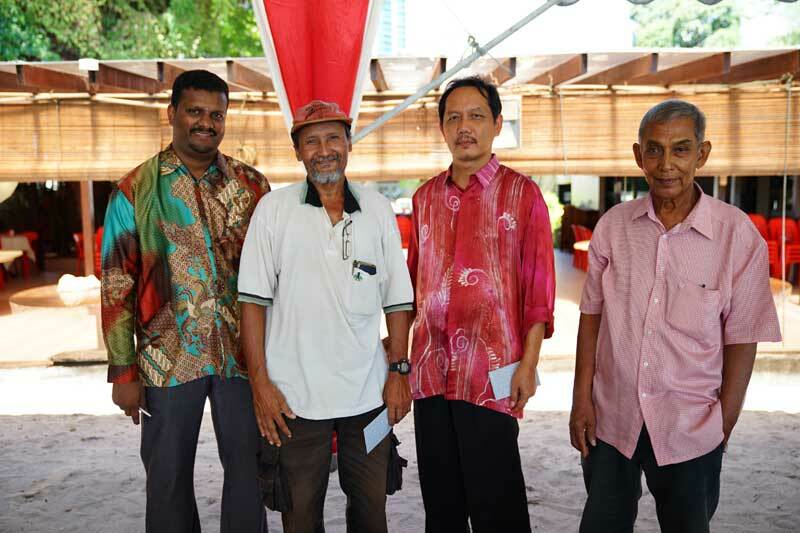 USM is contributing RM100,000 while E&O and MDC are contributing RM75,000 and RM25,000 respectively for the project. 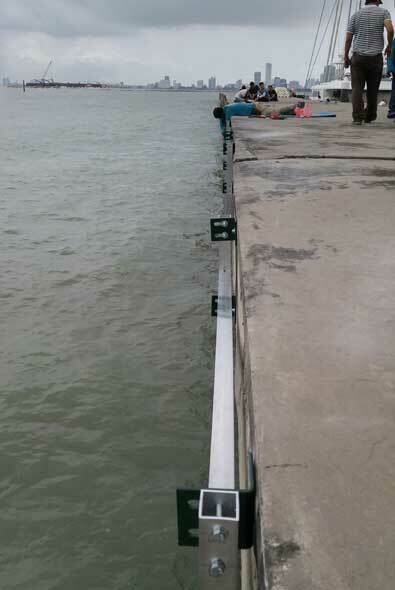 The World Harbour Project, on the other hand, aims to ascertain suitable and successful substrates and species for green engineering restoration of harbours and ports through instalments of settlement plates transplanted with oysters. It is jointly-funded by E&O and the University of Plymouth, with both parties contributing a sum of RM8,000 and RM8,400 respectively. 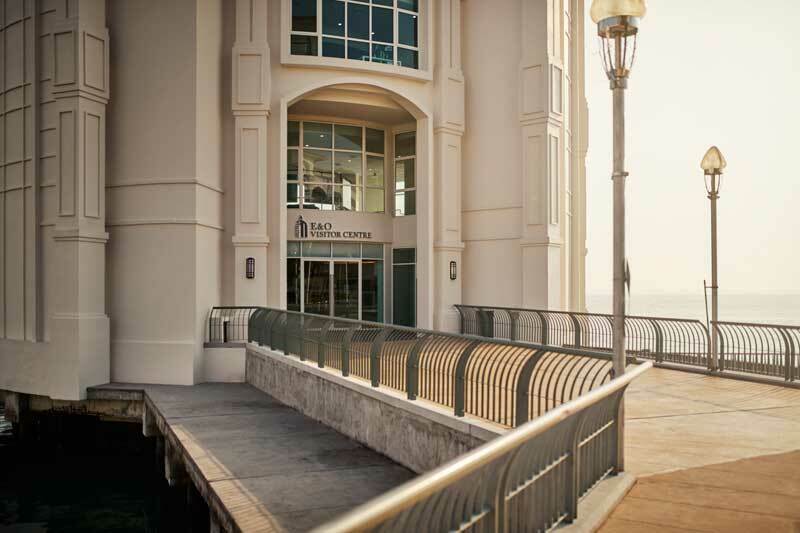 In addition to the financial contributions, E&O has also provided Straits Quay Marina within the masterplanned seafront development of Seri Tanjung Pinang Phase 1 (STP1) as one of the experimental sites for these projects. The rock revetment within the STP1 vicinity provided a space for the drill-cored rock pools project to enhance the habitat for intertidal organisms. 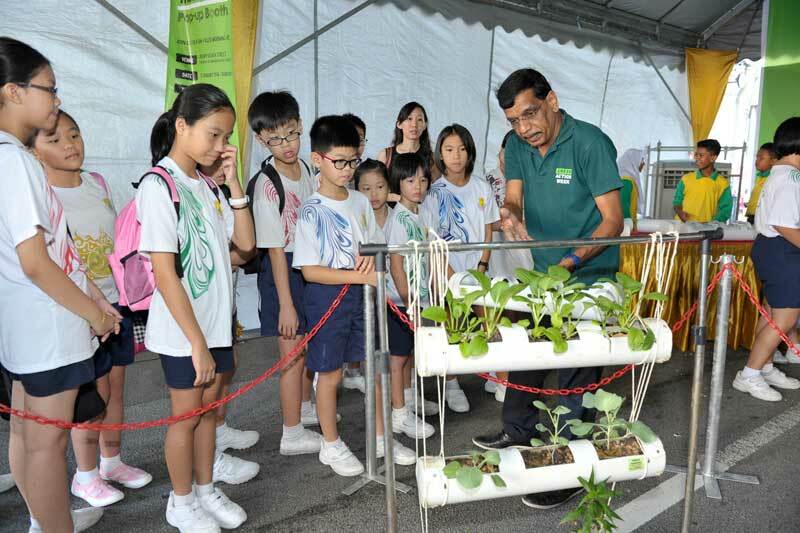 Dr. Chee and her team have also participated as guest speakers for educational tour trail runs organised at the E&O Visitor Centre for school students, where students were briefed on the foundation of the eco-engineering project. 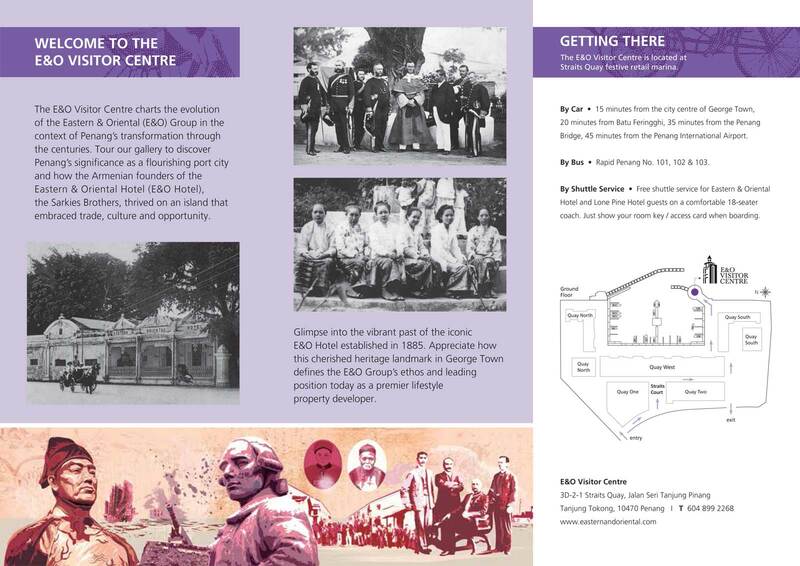 Opened in mid-October 2016, the E&O Visitor Centre charts the evolution of E&O in the context of Penang’s transformation through the centuries. 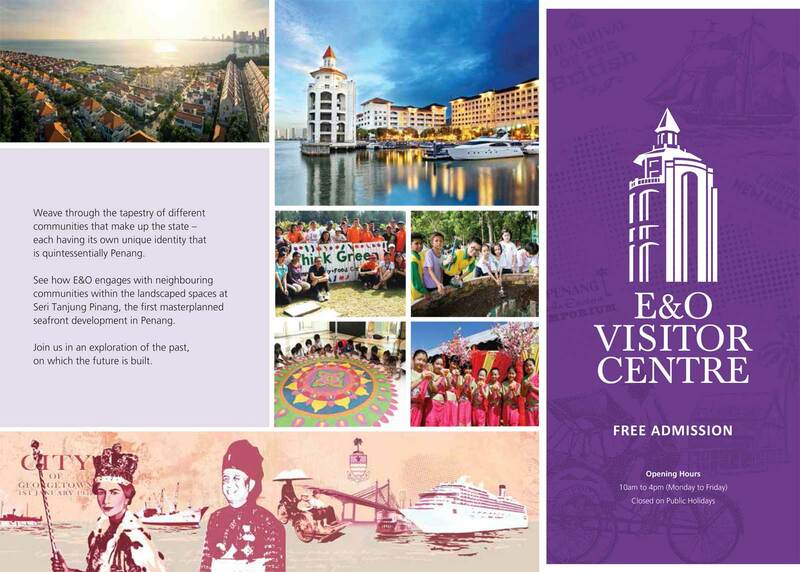 Through its exhibits, visitors will be able to trace Penang’s rise as a flourishing port and how the Armenian founders of the Eastern & Oriental Hotel (E&O Hotel), the Sarkies Brothers, thrived in Penang, an island city that embraced trade, culture and opportunity. Glimpse into the vibrant past of the iconic E&O Hotel, established in 1885 and witness to the changes in the island for more than 100 years. 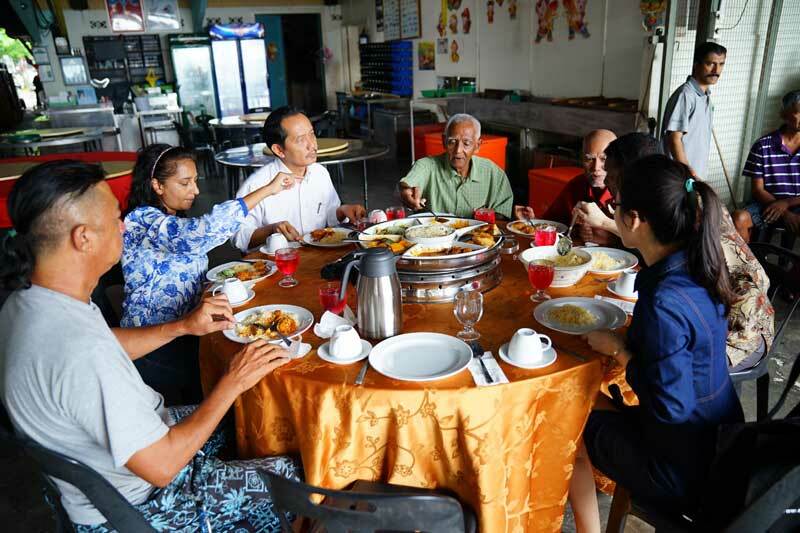 Furthermore, weave through the tapestry of different communities that make up the state – each with its own unique identity that is quintessentially Penang.